Floral Fix is an in home floral studio based in Cronulla. 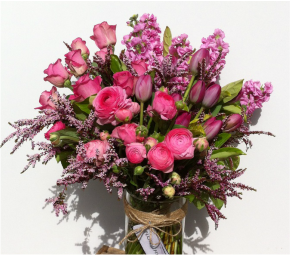 Call or email Yolande to arrange your next Floral Fix. Orders received by 10am are delivered same day, orders received after this time are delivered next day. If placing an order after 10am but require same day delivery please call and we will see if we are still able to assist. Free local delivery, please view the terms and conditions page for included suburbs. In studio consultations are available by appointment.